A dangerous driving charge may occur where the operation of any motorized vehicle appears to be viewed as a danger to the public or property. Various factors may come into play such as the location, time of day, amount of surrounding traffic, and the nature of the incident. This is a much more significant charge than a typical traffic violation. Ontario treats dangerous driving charges quite seriously, with even greater severity if someone was injured during the incident. A dangerous driving charge in Ontario will also result in a criminal record, a licence suspension for one year (if it is a first time offence), and possibly time in jail. A previous dangerous or impaired driving record will also result in a longer licence suspension. If a person was injured during the incident, a prison term can be up to 10 years, and up to 14 for dangerous driving causing death. 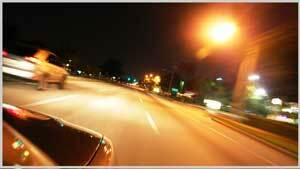 One ideal outcome is for your lawyer to get the charge reduced to a careless driving charge. Although you will likely experience an increase in vehicle insurance, careless driving will not result in a criminal record, or licence suspension. A conviction of careless driving carries a fine between $400-$2000 with 6 demerit points (lasting two years on your record). If there are previous demerit points on your licence, a licence suspension will occur at 15 demerit points. If you are facing a dangerous driving charge you should discuss your case with a criminal lawyer who knows your rights and options. Our law team recognizes that certain traffic violations may attempt to be escalated to a dangerous driving charge by the prosecution unnecessarily, as the charge is an objective observation of the police officer involved, and an experienced lawyer can often successfully defend against such allegations. Are You Facing Dangerous Driving Charges in Ontario? A dangerous driving charge often carries a tremendous amount of stress and worry, as well as the concern of skyrocketing insurance rates, or your policy even being cancelled. The risks to your career, relationships, and finances can be lengthy or permanent, with an inability to qualify for many jobs and volunteer positions. Don’t disqualify yourself from future opportunities by attempting to defend yourself on such a potentially life altering situation. Our lawyers Bruce Karten & Stephen Hebscher have over 60+ years of experience in acquiring reduced charges, acquittals & settlements that can work to achieve a favourable outcome. Speak to one of our legal team to set up a free consultation. See what our other clients are saying about us. We have been able to assist countless individuals with overcoming dangerous driving charges in Toronto & Ontario, and are ready to assist you in your case.